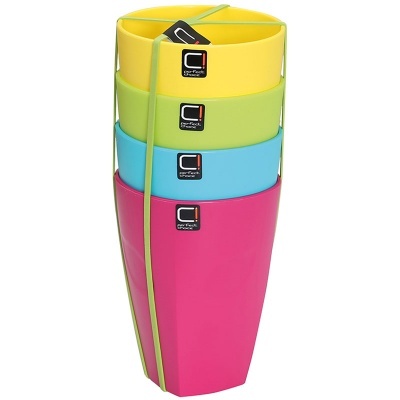 Quest Cuisine Viva 4 Cup Set of assorted vivid colours for outdoor dining, perfect for home, garden or campsite use. 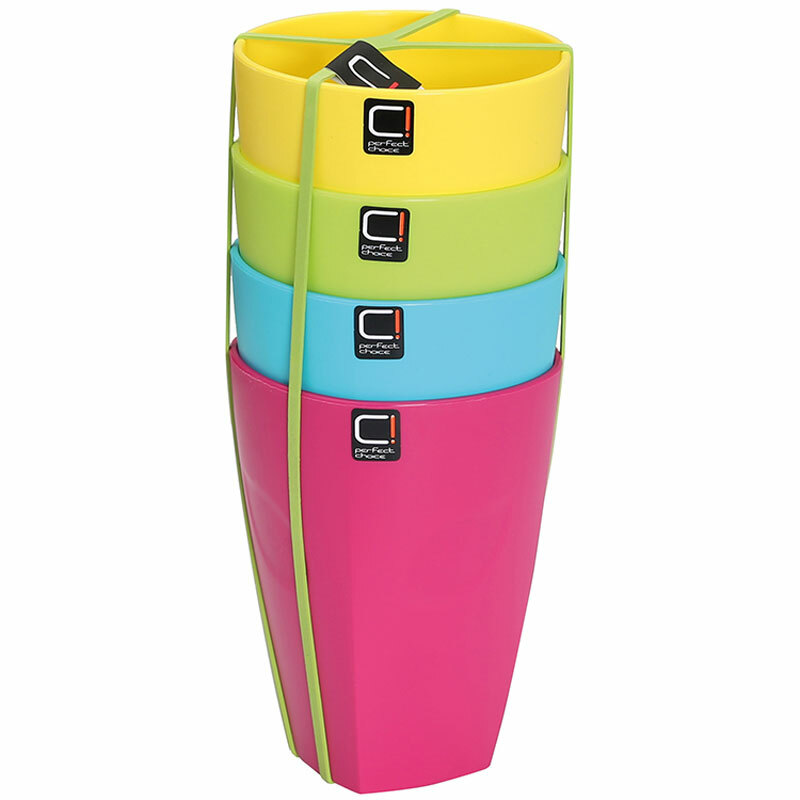 Lightweight, easy-clean and break resistant multi-use drinking cups offering a complete set for the family, or friends visiting! Each premium quality cup is vibrantly coloured produced from BPA-Free food grade plastic (melamine free), and easy to clean and maintain. Viva tableware is microwave and dishwasher safe, and benefits from being scratch and temperature resistant. Each cup fills 3cl volume.